The rotary dryers can be used as calciners using direct or indirect firing. GMP plants are offered for pharmaceutical, food, and biochemical applications. Capacity: We can offer the rotary dryers with capacity range from 100kg/hr to 50000kg/hr product rate and operating temperatures up to 600°C. 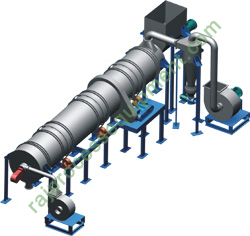 Typical applications of rotary dryers include silica sand, bagasse, minerals, coconut powder, etc. 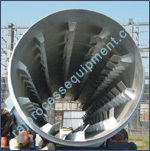 Raj Process Equipments And Systems Pvt. Ltd. are the leading Manufacturers Industrial Rotary Dryers and Exporter of Rotary Dryers in the whole world.